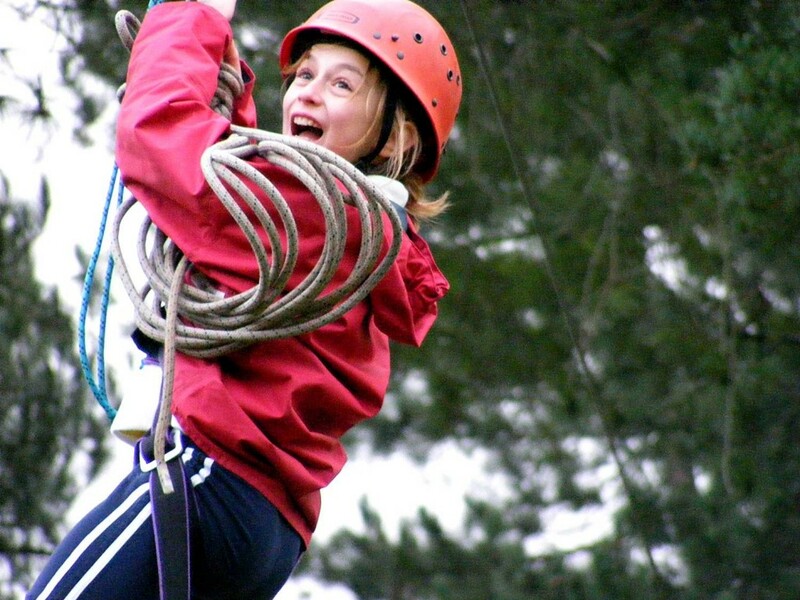 The exact choice and combination of high ropes activities from the list below depends on the age of the group, their prior experience, the aims of their visit, time allowed, weather and more. 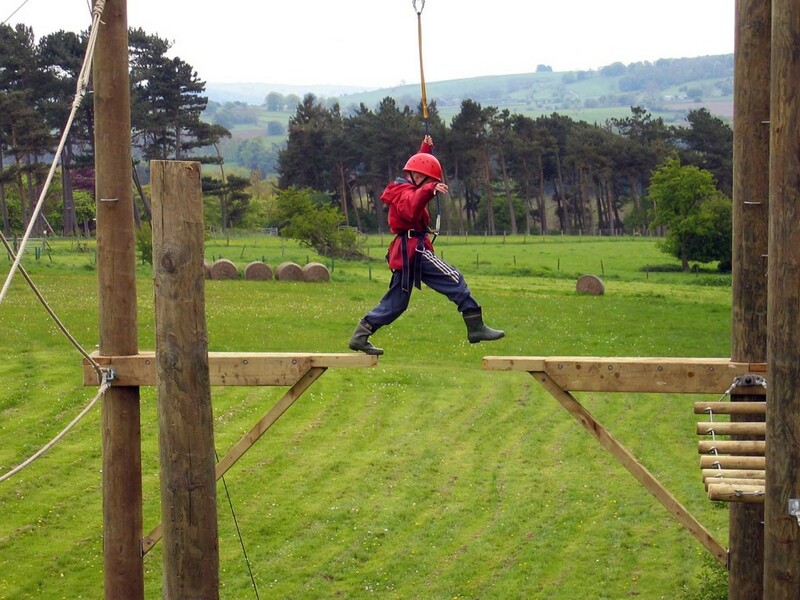 This will be decided by our instructor in conjunction with the visiting staff/leader and our visit co-ordinator. 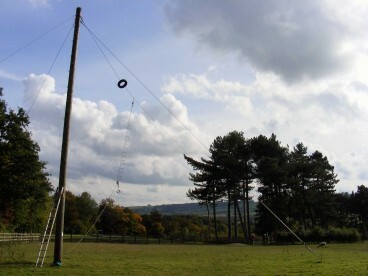 A rope-protected climbing challenge to reach the top of the scramble net. Your team can help or hinder by holding the net for you..! Climb the challenging Scots Pine tree and ring the bell when you reach the top! Get your group to pull the net back whilst you climb and touch the log at the top. Not hard enough? How about climbing up and sitting on the log? Not hard enough? How about climbing up and standing on the log? You might even feel like doing a dance whilst you’re up there! Fancy a different challenge? 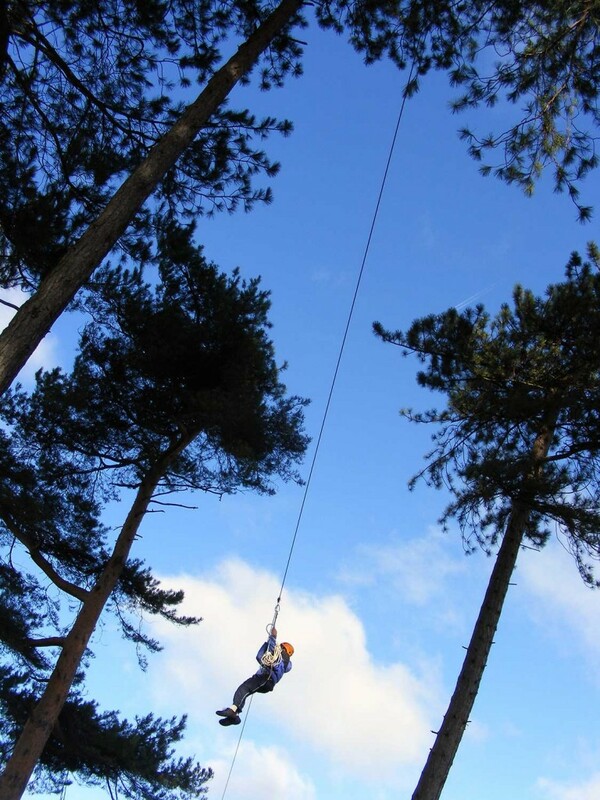 Climb as high as you can up the 12m long runs of holds up a Scots Pine tree – & if you’re good enough ring the bell at the top. As well as encouraging your group you can help by belaying them (taking the rope in as they climb) and pulling the net back as they climb. Climbing, balance and co-ordination skills are all put to use. Equipment use & basic concept of belaying. 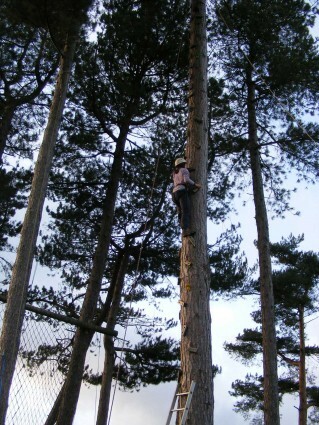 Standing on a log 8m up and dancing is certainly challenging – as is a 12m long tree climb. We have harnesses & equipment to enable us to provide extra help & if necessary hoist people to the top of the net & tree. 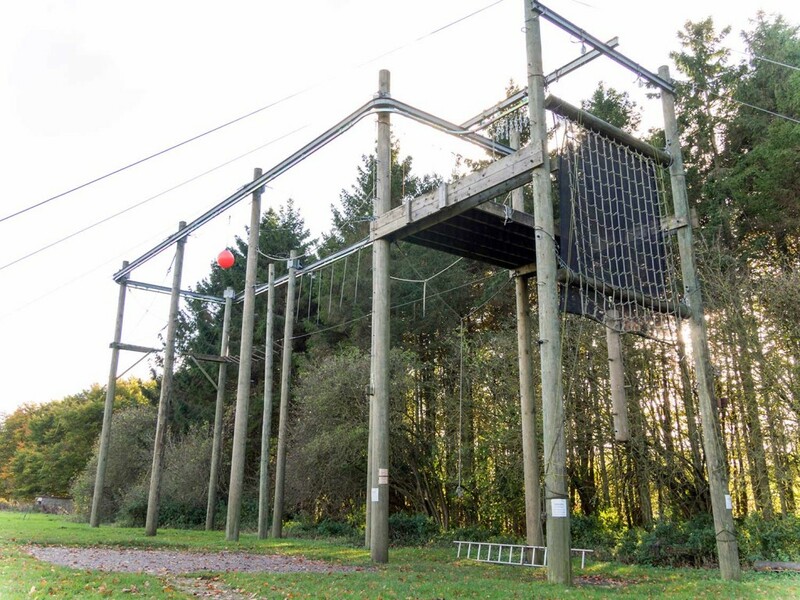 Climb the 8m pole to the platform, then if you dare you can test your balance and tolerance of heights by traversing the course of seven linked elements. To descend, step off the platform to gently ‘float’ to the ground. There are lots of opportunities to encourage & support each other as up to 8 people can go around at the same time. Fitting a climbing harness, helmet, balance and coordination. 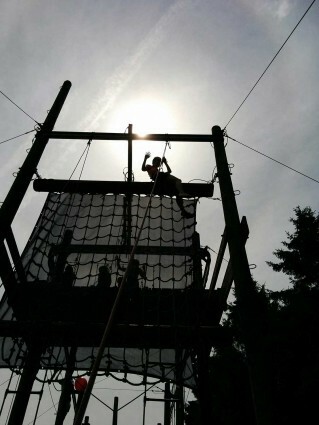 Being 8m up and taking on tight rope walks, twitch ladder and leap of faith isn’t easy! Climbing, balancing & pulling yourself up and along, all take effort! We have harnesses & equipment to enable us to provide extra help, & if necessary hoist people to the platform. The smooth running rails mean that we can get almost everybody around the Sky Ropes. It’s proximity to the car park means relatively easy access in a wheelchair. 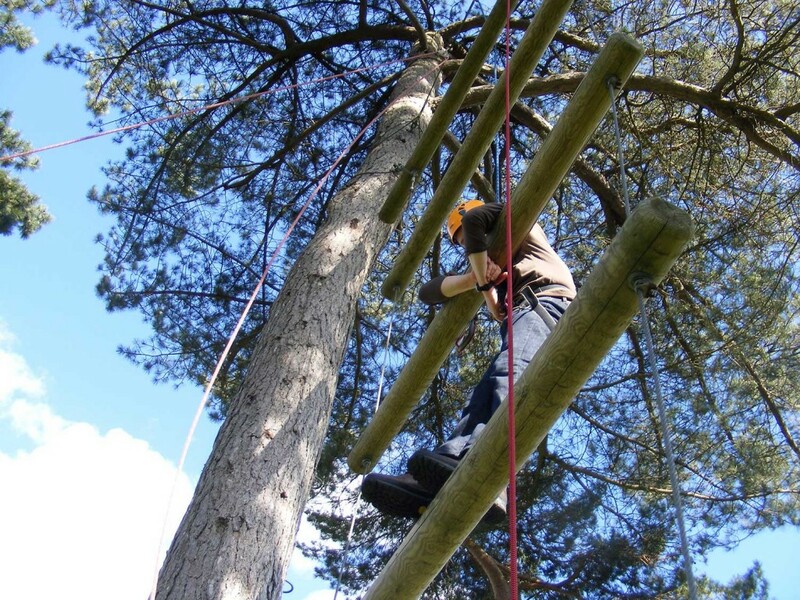 Take on the ladder and net climbing challenges – they’re not as easy as they look! Once on the net, climb it to the top and wave down to your group who are helping to keep you safe by taking the rope in as you climb. 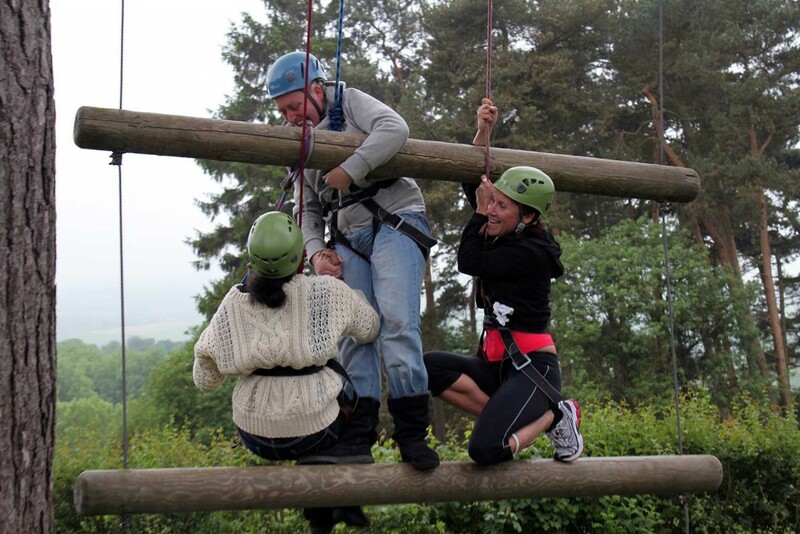 As well as encouraging your team mates you can help by steadying the ladder as they climb and belay as well. Climbing, balance and belaying skills are all practised. Climbing the ladder and net is definitely challenging. We have harnesses & equipment to enable us to provide extra help, & if necessary hoist people to the top. It’s proximity to the car park makes for relatively easy access in a wheelchair. A great team challenge! Three people must work together to climb the ‘giant’ ladder as the rungs get increasingly further apart the higher you climb. 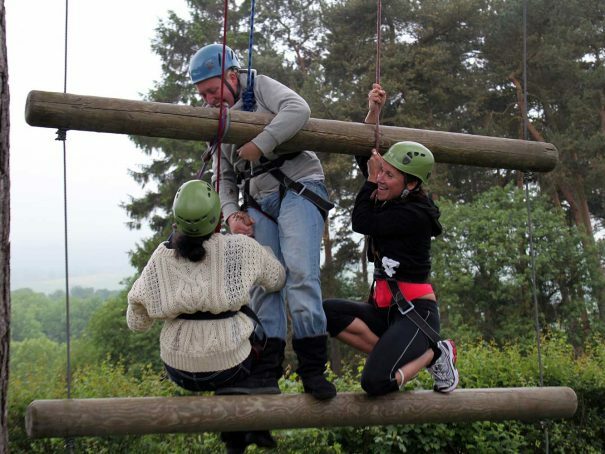 It’s essential to work as a team of climbers and belayers to give your team members the best chance of reaching the top. This depends on how well you work as a team, but even with the best team in the world it’s not easy. We have harnesses & equipment to enable us to provide extra help, & if necessary hoist people to the top. Not an easy challenge! 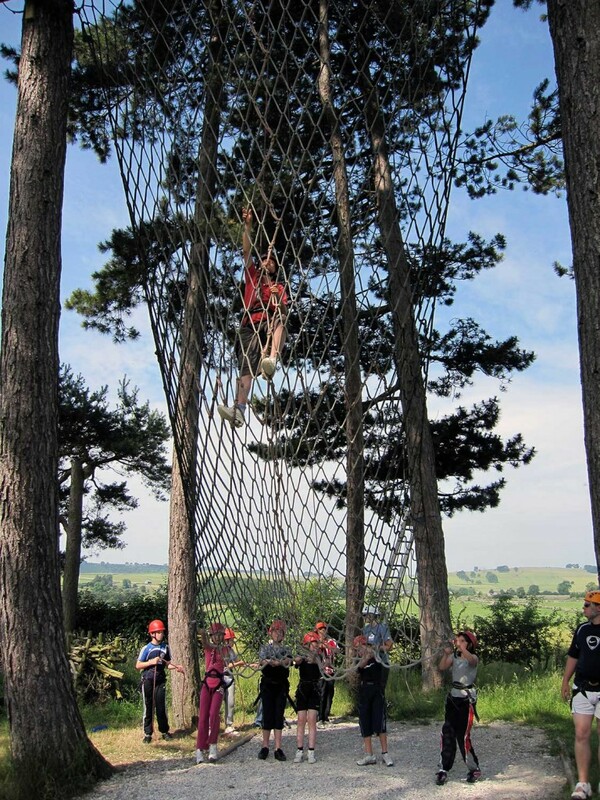 Climb 10m up the tree to the platform above where your instructor will attach you to the zip wire. Leap off the platform and fly like a bird through the canopy of the trees before lowering yourself to the ground. Encouraging your peers and helping to pull the pulley back to the platform all help the team. Basic climbing skills are all practised. Getting to and leaping from the platform require steady nerves and determination. A good climb to the tree but only one at a time so quite a lot of waiting around is involved.